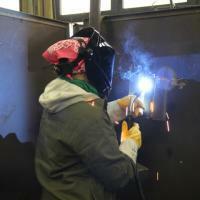 Working with artistic precision, welders possess high-level skills that many companies, especially those in manufacturing, compete to employ. 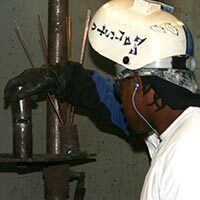 The overall employment of welders, cutters, solderers and brazers in the Gulf Coast from 2011 to 2020 is projected to grow 26.7 percent. 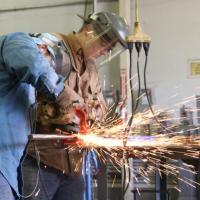 COM’s program prepares a student completing the Welding, Multiple Processes class to be hired as a welder SMAW (shielded metal arc welding) helper/tacker. 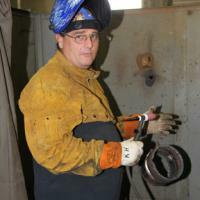 Students completing three classes may be hired as a structural welder while students completing five classes may be hired as a pipe welder. There is an additional $200 lab fee per class and a one-time investment of approximately $250 for personal equipment. New students must register in person on the main campus at the Continuing Education Office – Technical Vocational Building Suite 1475. Returning students may register in person or online at www.com.edu/register. Texas Public Education Grants (TPEG) – This is a grant based on financial need. Hazlewood Act – This assistance is available to veterans, their spouses and eligible children. Workforce Solutions Workforce Investment Act – This assistance is based on financial need. For Jamie Lewton, 31, of Texas City, a newspaper article changed everything. For Keith Harrington, a fresh start took just 12 weeks.